Aalto Startup Center offers entrepreneurs an extensive network of experienced business professionals. We are delighted to collaborate with people interested in mentoring. Our general mentoring principles are outlined below. If you are an experienced business professional and interested in mentoring, please send us an email with your background and experience to marika.paakkala(a)aalto.fi or our advisors. We will then contact you for further discussions. Our overall goal in mentoring is to improve the long-term functioning of startups and help them to develop their network. We strive to find every startup a mentor that suits their situation, needs and development stage. We consider the mentors’ background, know-how and interests to ensure maximum compatibility. A mentor acts as an advisor and supporter, not as a consultant. Mentors offer invaluable benefit to startups through their authority, experience, contacts and understanding of the real business scene. Mentors act on a voluntary basis. Successful mentoring is based on perseverance, openness and mutual trust. The process requires two-sided commitment from the mentor and the company being mentored. Aalto Startup Center matches the mentor with the right company and then coordinates the mentoring activities. The mentor can be introduced to potential startups in a personal meeting or through a specific event. When a startup and a mentor announce that they are interested in starting a mentoring relationship, they sign a mentoring contract together with Aalto Startup Center. The accelerator provides all parties with the appropriate forms.The mentor and company then agree on their individual targets, schedules and manner of their collaboration. 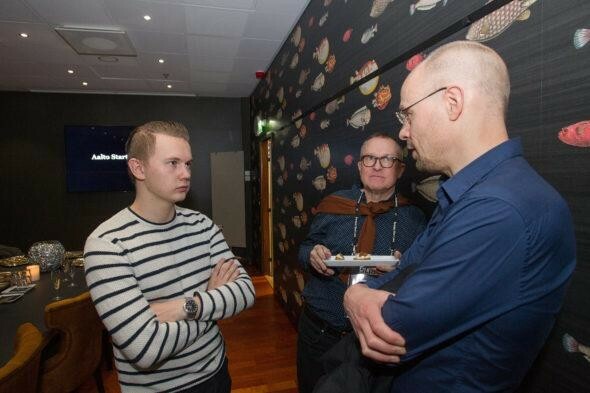 Aalto Startup Center supervises and assists the mentoring by cooperating with the mentor. This is done primarily through one of the accelerator’s business coaches and is designed ensure the quality of the mentoring. We organize various events related to mentoring, of which mentors are always kept informed. You can also find some of our companies, looking for advisors, in Boardio service.